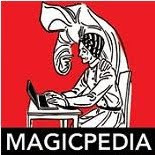 As promised, I wanted to give equal time to MAGIC Magazine, after my article on Genii. 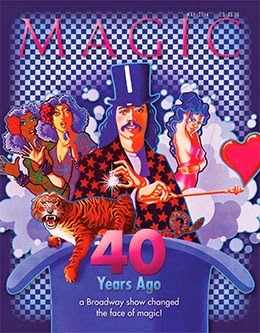 This month (May) the cover story is about The Magic Show on Broadway 40 Years Later. It is a great article on how The Magic Show came about, what Doug Henning was like in the very early years, how the various touring versions came about and the actor/magicians who worked in those shows. Plus in the digital version of the magazine there is a video link to the first 7 minutes of the movie version of The Magic Show. But as great as all of that is, the icing on the cake a 25 minute long video taped interview that David Charvet did with Doug Henning, it was Doug's last interview. It is a MUST WATCH! When it comes to history and MAGIC Magazine, there is one guy who has the corner on the market and that is Mike Caveney. His column is called Classic Correspondence and it always has some interesting gem. 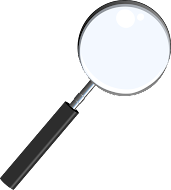 It's a relatively short column and yet it's packed with great historical content. As for non magic columns, I always enjoy Mark Kornhauser's column called For What It's Worth, always funny observations on his life as a performer. Loving Mentalism by Ian Rowland has had some really stunning material in it lately. But the best of the bunch is Mike Bent's column called Bent on Deception. Mike is a comedy magician, kidshow performer and a truly creative guy.